We are trusted as reliable Manufacturer, Exporter & Supplier of Steel Tee. The Steel Tee, we offer, are made as per the set industrial standards by utilizing well-tested material. 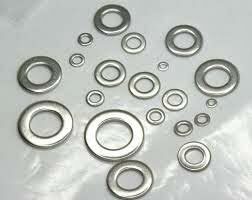 The manufacturing and testing of our Stainless Steel Washers are done using the latest techniques with the objective of bringing forth world-class products. We provide the Steel Tee to the clients in assorted grades & specifications. We offer these washers at market-leading prices.